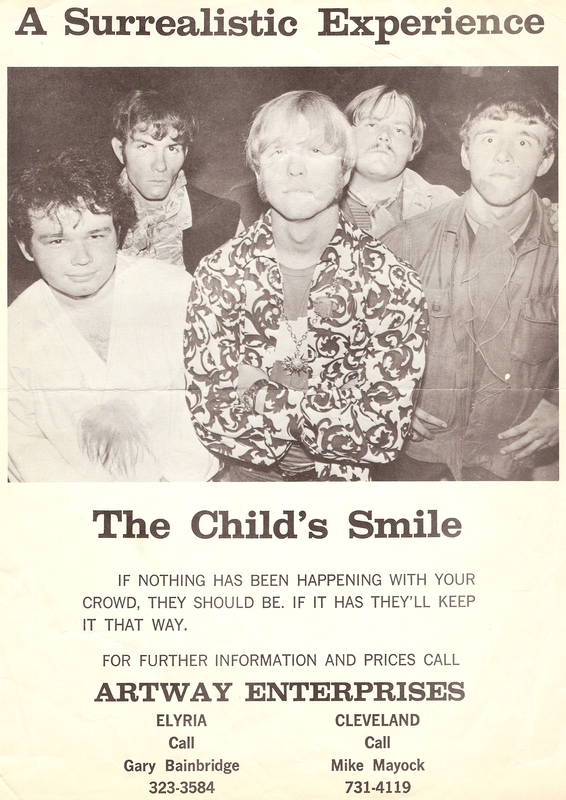 Child's Smile were started in 1967 by Greg Nagy (Lead Guitar) and Daryl "Puff" Kos (Drummer). They were both out of High School and Have never been in a band before let alone ever played their respective instraments! The first name of the band was Nuff! Said. 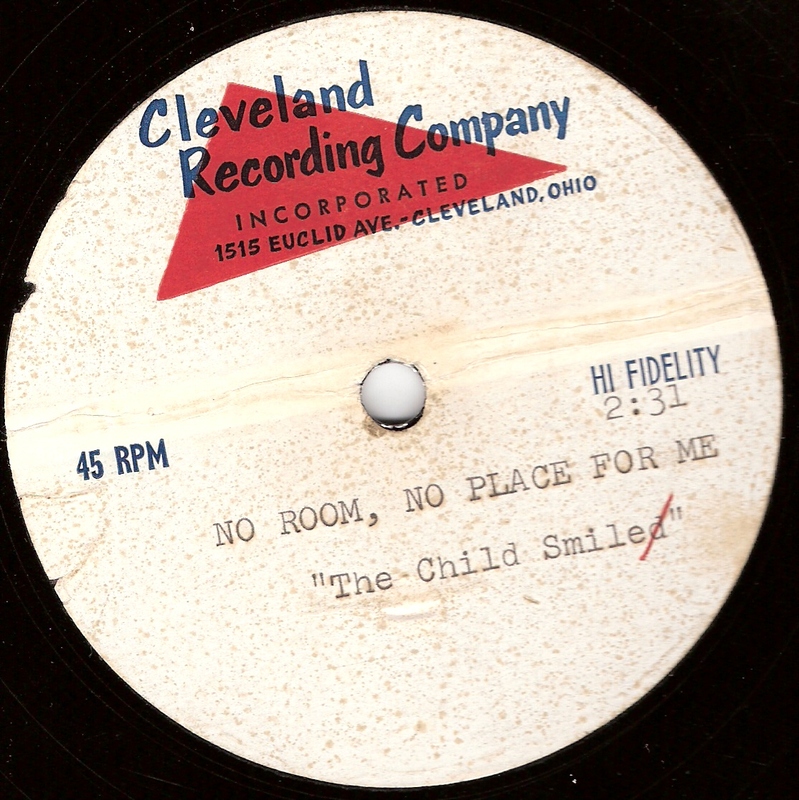 Around the middle of 1967 they changed their name to Child's Smile and started playing "Underground" music. During the first incarnation of the band the Bass player was Daryl's cousin, the former bass player for Ronnie and the Rainbows. He left and members Charles Maines, Pete McGuire, and Jeff Smith joined the band. They played the Lorain county teen club action like Music Box, etc. Along the way they met Gary Bainbridge who at the time wrote a "Teen" column in the local paper called "Ask Gary". He became their manager and with his connections they started getting gigs all over the Cleveland area. WIXY DJ Doc Nemo took note and the Childs Smile became his "House Band" where they would play his sponsored events. In early 1968 they went into Cleveland Recording and cut a 2 sided acetate of original songs - No Room No Place For Me / Collections. Shortly after the session Bainbridge took the master tape and said he was going to get them a record deal. He left town and they didn't hear from him again. "No Room..." is an amazing Cream influenced pounder with extended lead guitar and powerful dispairing vocals. "Collections" could be called 'heavy folk-rock', fast and full of teen energy - two great sides! 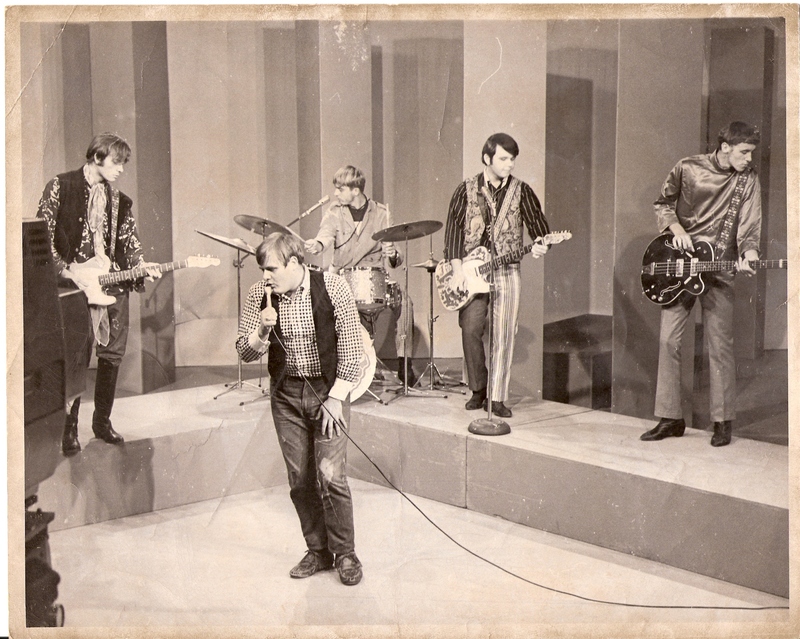 In September of 1968 they were booked to play on the debut of the King Kirby TV show in Cleveland, at which the above photo was taken. They lipsynced "No Room No Place For Me". Also appearing on the show was Richie Luvworth. Also in 1968 they played a WIXY sponsored event at Municipal Stadium before an Indians game. Also on the bill was a band called Joyful Wisdom from Chicago and the Cleveland area all girl band The Outfit. The draft put an end to Childs Smile. They called it quits on New Years Eve 1970. Greg went on to join a Band from Cleveland called Voyage. In late 1970 they recorded a 4 song acetate of original tunes at Agency.